Did you know that an estimated 50 million litres of the 320 million litres of paint sold in the UK each year go to waste? This paint is either thrown away or stored in homes or garages despite over 50% of it still being usable. We are really happy to be part of the Community RePaint Scheme which is a UK wide, paint re-use network. 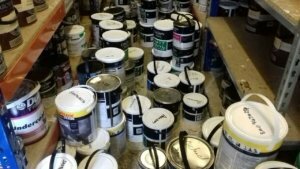 The scheme aims to collect this leftover paint and re-distribute it to benefit individuals, families, communities and charities in need at an affordable cost. 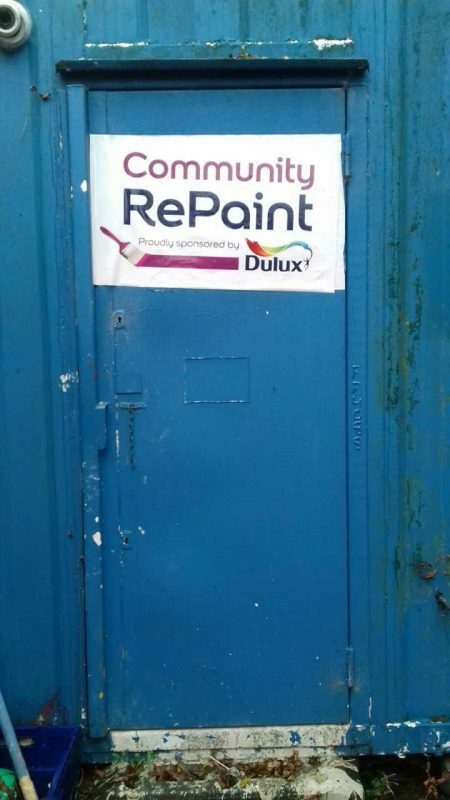 You can find out more about the Community RePaint Scheme at https://communityrepaint.org.uk/. 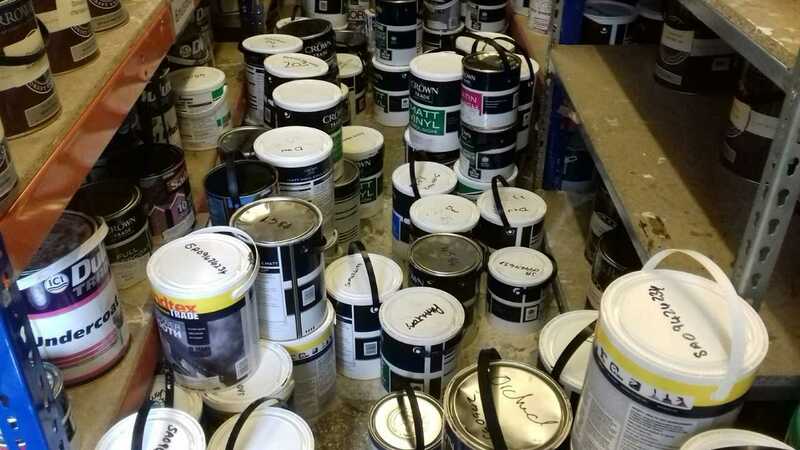 We have approximately 500 litres of paint stored at the Full Gospel Church which is available to anyone who has difficulty in purchasing paint to tidy up their home or perhaps a charity who are in need of paint for a particular project. We currently have a large amount of emulsion paint in various different colours. We also have some gloss, wood paint and eggshell, it simply of matter of coming in to see us and what we have. Please be advised that if you wish to come and look at the paint that we currently have in stock or make a purchase, you will need to make an appointment to do so by calling 01933 733001 between 9am-5pm, Monday-Friday. This means that we can ensure someone is here to help you. If you wish to purchase paint from the Community RePaint Scheme, we do ask that you fill in a short form and give a small donation to ENCS, if you are able to. We are not currently looking for individuals to donate paint. Our donations, as a rule, are received from large companies. What are you waiting for? Give us a call and come down to see whether we have some paint for you!